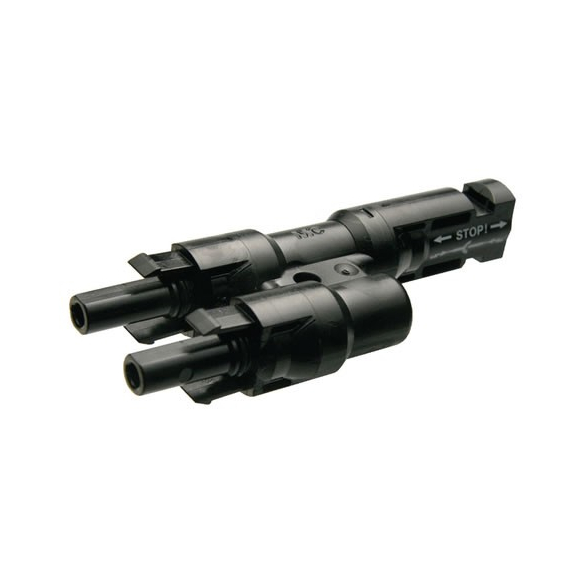 MC4 Male/Female Connector - KF Solar Tech Group Corp.
Use these waterproof Y-connectors to connect PV modules with Multi-Contact MC4 output cables in parallel. The socket is rated for 1000V and 30Amps. It creates a safe and 100% weather tight connection. This branch connector features 2 female and 1 male sockets.